1, DTH Operators recharges through web login: fast recharge and no sms required. 2, New Mars Android App and online Module: installed in your Mars computer, no yearly charges and instant recharge response. 3, Now Mars supports for long/short code api integration: No sms expenses to retailers. 4, All mars accounts supports HTTP API Integration: you can provide balance to API user. 5, MARS user can set R-offer updates:Facility recently introduced by telecom companies thereby increasing additional profit. 6, Supports for Multiple Hangout, Telegram, WhatsApp,Facebook. IP MODEM LAN interface with Computer. WE have redefined the Single SIM recharge business in the country with its powerful and cost effective solution - MARS. MARS is the first and probably the only successful solution in the market. 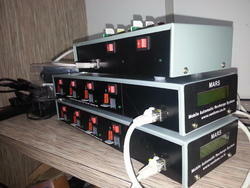 MARS now is deployed with IP BASED modems which makes installation simpler and elegant . IP modems will be connected to Computer through LAN cable, Which is more reliable and makes data communication much faster, as compared to any other interface i.e USB and Serial ports interface. MARS provides both hardware and software and takes complete responsibility for the performance of the product. The hardware is also manufactured by us and not bought from china or other cheap sources. The hardware and software work in sync to provide maximum performance. 1 Year warranty is provided on hardware and software. Telecom is a fast changing field and hence the products need to adapt to changing scenarios whether it is number portability or SMS limitations on sim. The technical standards and expertise needs to be high to provide quick solutions to changing market conditions. MARS is not only for today but for the future as well. EXCEPTIONAL SMS HANDLING:SMS requests are handled exceptionally well by MARS. This helps in penetration with customers who cannot afford and are not comfortable with web. Recharges happen through sims which are widely available in the market the success or failure of recharges can be ascertained by you without any ambiguity. The transaction id provided is that of the operators and not of mars. The balances are loaded by you directly and you do not have to suffer if the api vendor does not have balance. INTERNET NOT NEEDED FOR RECHARGES:Recharges are done through sims. So even if internet connection fails, recharges would continue without disruption. The customers you create and the service you provide become assets for you. You are not working as an agent for another brand but creating your own brand which will help you in the long run. 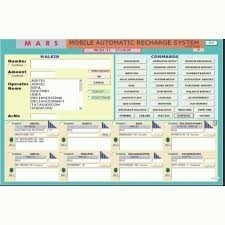 Mobile Automatic Recharge System (MARS) is a PC based system that enables Mobile &Dth (Tv) Recharge Whole salers / Distributors / Dealers to Setup their own all mobile &Dth (Tv) Recharge Business, they can extend their services through Dealer and retailer (remote agents) the remote agents registered with the system can send recharge requests to MARS through a simple SMS. Remote agents do not need E-recharge SIMs or GPRS handsets. Recharge is carried out automatically by the system after receiving the requests and responses are sent back through SMS. MARS is highly configurable and provides a host of powerful features to extend your reach, grow your recharging business and manage it better. 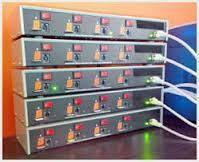 Stand- alone system is expandable upto 32 ports Server Model is expandable by adding nodes. The Server and nodes will be networked through LAN. A maximum of 1 server and 24 x 4 nodes can be connected supporting 96(Ports) SIMs. It is possible to buy a stand-alone system first and then convert it to Server module later. Receiving SMS, Sending SMS and recharging are done through SIMs. Internet is not required. Internet is required only for installation and support. If SMS gateway and online module is used then Internet is mandatory. SMS gateway and Online will work with 2G/3G wireless internet also but performance can be guaranteed only in land line broad band. Continuing in its tradition of innovation, Venfone launches yet another first in the market – BULK SMS SWITCHING MODEMS. These modems are exclusively provided for MARS users. 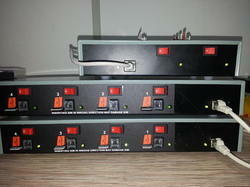 Available in 2 Modules:32 SIMs Tray SMS Modem.16 SIMs Tray SMS Modem. With this Bulk SMS Modem Per SMS cost will be around 1or 2 Paisa, whereas Bulk SMS APIs are available in Market for Much higher Rates i.e. 10 to 20 Paisa per SMS. Online module connects MARS to a central server. Retailers can be given a web password to send request and see reports through a website hosted by us. Recharge can be done through SMS or the website. JAM and Android Software can be downloaded from For receiving requests from JAM license should be installed in MARS. HTTP API allows a website (Only one website) to send request to MARS and receive response from MARS in the API format defined by us. Website will be considered as one retailer account by MARS. Balance checking and maintenance will have to be done at website and will not be done in MARS. SMS requests are handled exceptionally well by MARS. This helps in penetration with customers who cannot afford and are not comfortable with web. Recharges are done through sims. So even if internet connection fails, recharges would continue without disruption. Mobile Automatic Recharge System (MARS) is a PC based system that enables Mobile Dth (Tv) Recharge Whole salers / Distributors / Dealers to Setup their own all mobile Dth (Tv) Recharge Business, they can extend their services through Dealer and retailer (remote agents) the remote agents registered with the system can send recharge requests to MARS through a simple SMS. Remote agents do not need E-recharge SIMs or GPRS handsets. Recharge is carried out automatically by the system after receiving the requests and responses are sent back through SMS. MARS is highly configurable and provides a host of powerful features to extend your reach, grow your recharging business and manage it better. JAM and Android Software can be downloaded from . For receiving requests from JAM license should be installed in MARS. System-1 : MARS Stand-Alone 24 SIM System Note: 24 SIM MARS supports for 8 Mobile Operator and 6 Dth(TV) Operator & 2 Server Nos for incoming sms and 16SIM for sending outgoing sms, as per Market feedback it can handle a recharging traffic Approximately Rs.2,50,000/- per day with instant reply. 6-8 recharges can be done in EC mode and 12 recharges in SMS/USSD mode per minute/per port, with 24 SIM MARS successfully 60-70 recharges can be completed per minute. System-2 : MARS Stand-Alone 28 SIM SystemNote: 28SIM MARS supports for 12 Mobile Operator and 8Dth(TV) Operator &3 Server Nos for incoming sms and 16 SIM for sending outgoing sms, as per Market feedback it can handle a recharging traffic Approximately Rs. 4,00,000/- per day with instant reply. 6-8 recharges can be done in EC mode and 12 recharges in SMS/USSD mode per minute/per port, with 28 SIM MARS successfully 90-100 recharges can be completed per minute. 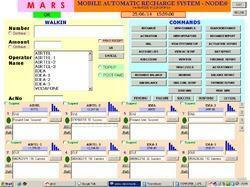 System-3 : MARS Stand-Alone 32 SIM System Rs. 148,000/- Note: 32 SIM MARS supports for 16 Mobile Operator and 12Dth(TV) Operator & 4 Server Nos for incoming sms and 16SIM for sending outgoing sms, as per Market feedback it can handle a recharging traffic Approximately Rs. 5,50,000/- per day with instant reply.6-8 recharges can be done in EC mode and 12 recharges in SMS/USSD mode per minute/per port, with 32 SIM MARS successfully 120-130 recharges can be completed per minute. System-4 : MARS Stand-Alone 56 SIM System Note: 56 SIM MARS supports for 24 Mobile Operator and 12 Dth(TV) Operator &5 Server Nos for incoming sms and 32 SIM for sending outgoing sms, as per Market feedback it can handle a recharging traffic Approximately Rs. 9,00,000/- per day with instant reply. 6-8 recharges can be done in EC mode and 12 recharges in SMS/USSD mode per minute/per port, with 56 SIM MARS successfully 190-200 recharges can be completed per minute. System-5 : MARS Stand-Alone 64 SIM System Note: 64 SIM MARS supports for 32 Mobile Operator and 12 Dth(TV) Operator &6 Server Nos for incoming sms and 32 SIM for sending outgoing sms, as per Market feedback it can handle a recharging traffic Approximately Rs. 12,00,000/- per day with instant reply. 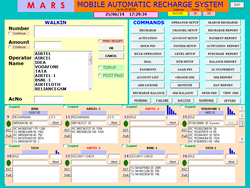 6-8 recharges can be done in EC mode and 12 recharges in SMS/USSD mode per minute/per port, with 64 SIM MARS successfully 250-260 recharges can be completed per minute. MARS 8 Mobile & 6 DTH System = 14 Operators) Note: Above MARS supports for 8 Mobile Operator and 6 Dth(TV) Operator & 2 Server Nos for incoming sms and provision to send outgoing sms from all ports, as per Market feedback it can handle a recharging traffic Approximately Rs.2,50,000/- per day with instant reply. 6-8 recharges can be done in EC mode and 12 recharges in SMS/USSD mode per minute/per port, with this MARS successfully 60-70 recharges can be completed per minute. ADDON (4 Mobile & 4 DTH = 8 Operators) MARS ADDON 4 SIM Modem supports 4 Mobile & 4 DTH(TV) Operators and all 4 SIM supports for sending & receiving SMS simultaneously. Each ADDON 4 SIM Modem in Existing Systems can Expand your Business Approximately Rs. 1,50,000/- per day with instant reply, 6-8 recharges can be done in EC mode and 12 recharges in SMS/USSD mode per minute/per port, with ADDON4SIM Modem successfully 30-40 recharges can be completed per minute. Looking for Allinone Recharge System ?